I am super excited to have Shannon McNear visiting with us today and chatting about her latest book The Cumberland Bride! Be sure to stick around until the end and enter the giveaway! Transplanted to North Dakota after more than two decades in Charleston, South Carolina, she loves losing herself in local history. When this homeschooling mom isn’t sewing, researching, or leaking story from her fingertips, she enjoys being outdoors, basking in the beauty of the northern prairies. Join me in giving a warm welcome to Shannon McNear! Let’s start out with a few fun getting to know you questions and then we’ll chat about The Cumberland Bride. Shannon: That’s a hard one! Once upon a time, I’d have said fall or spring … one for the cooler temps and changing colors (and we lived in the Deep South for 25 years so didn’t have the dramatic changes of season), the other for the way the earth reawakens after winter … but summers in North Dakota are so exquisitely beautiful! (Especially after all those years in the South …) I really just enjoy the changes of season, overall. Trisha: I do enjoy watching the seasons change. Shannon: I love getting that first cup of fresh coffee … but otherwise, it would have to be when the busy work of the day is finished and I can sit down to focus on my story. Or run a hot bath and spend an uninterrupted half hour (or longer, LOL) reading. I do also love when my kids and I get into deep conversations about life and things of the Lord! Trisha: I enjoy my morning cup of coffee also! Trisha: Some of my early CF books were Bodie Thoene and Francine Rivers also! I had no idea you started out writing fantasy. I haven’t read much fantasy, but it seems like its growing in popularity. Trisha: Yes, you sure do have a diverse selection of music here! Fun! Shannon: I loved writing the romance. Kate’s purity of faith, and her inner conflict when her craving for a story gets in the way of what she (and others) see as more important things. Thomas’s spiritual journey. And I loved delving into the history, which was previously unfamiliar to me, and especially the bits of Shawnee (and other) native culture. Oh, and I loved getting to revisit Truth and Micah, whose story is told in my first published novella, Defending Truth (in A Pioneer Christmas Collection). Trisha: The first story I ever wrote was a native american story! I enjoy learning about their history and culture! Shannon: Honestly? Thomas. He didn’t like sharing his thoughts with me, but as bits of his backstory and emotions surfaced, it was so cool seeing how it all fit together and where his overall character arc took him. Shannon: That my research was good. That the faith element is strong but not “in your face.” That I gave them a truly immersive experience, between setting and emotions. That … I “did history right.” I hope it’s okay to admit I’m seeing some of this in reviews already, and am kind of overwhelmed by it all! People have been so kind in their feedback. Shannon: I can’t think of anything at the moment. There were bits and pieces I wanted to write into the story, overall, but I ran out of time and room. And I realized later that I forgot to address a couple of things in my historical note at the end (I could probably make the historical notes as long as the story itself … LOL). Shannon: Well! I can’t really say too much yet, but I’m hard at work on another Daughters of the Mayflower story, this one set at the midpoint of the Civil War, to possibly release late next year. Follow my Facebook page or subscribe to my newsletter for details, as I’m able to share! Trisha: I’m looking forward to reading more of your wonderful stories! Thank you for taking time to visit today! Shannon McNear is giving away 1 (one) print copy of her book “The Cumberland Bride”. Review the policies here. Please note that due to shipping cost this print copy is only available to those in the continental USA. The giveaway will be open for one week. At the close of the giveaway period, the winner will be contacted via email and announced on this page. The winner will have 48 hours to respond to the email, before another winner will be chosen. I’m super excited to have Lynn Austin visiting with us today about her new book, Legacy of Mercy (Waves of Mercy #2) due to hit the shelves on October 2nd! Friends, please join me in giving a warm welcome to Lynn Austin! Q: Legacy of Mercy will be released on October 2 and will be the first sequel you’ve ever written. What made you decide to write a sequel? Lynn: My readers decided for me! I received many, many letters from them asking if there would be a sequel to “Waves of Mercy.” The main character, Anna, is only in her twenties and is a new Christian, so when she decides to return to Chicago and marry her fiancé at the end of the book, readers wanted to know what happens next in her life. The more I thought about it, the more I wanted to explore what happens next for Anna, too. She has just discovered who her birth mother is, so naturally, she’ll want to learn more about her. She’ll also want to solve the mystery of who her real father is and what became of him. What if he is still alive? Lots of material for a story here, especially when the other people in Anna’s life try to discourage her investigations. Q: This story is set in your hometown of Holland, MI. Did you discover anything surprising while you were researching these books? Lynn: I knew very little about the early history of Holland, Michigan when I began this series—only that it was settled by Dutch immigrants. What surprised me was how much they suffered to establish a settlement here, including religious persecution, a malaria plague, and a devastating fire. Their enduring faith in spite of all their many trials was a huge inspiration to me. Q: The city of Holland must have seen an increase in tourism since you started writing about it. You even did a bus tour, tell us about it. Lynn: The book seems to have sparked a renewed interest in local history. The Holland tourist bureau told me they’ve guided several happy tourists to the places described in my book. And I was very pleasantly surprised by the interest in my “Waves of Mercy” bus tour! When I offered to guide interested readers to some of the settings from my book, I never imagined there would be enough interest to fill two chartered busses! There may even be another tour after “Legacy of Mercy” releases. Q: You are known for writing multi-generational books and Legacy of Mercy is no exception. What intrigues you about writing in this style? Lynn: I enjoy creating women’s personalities from various eras and exploring how the roles and opportunities changed for women from generation to generation. I find it very interesting to see how the choices one generation makes has an influence on each generation after them. It causes me to be more thoughtful in the way I live, knowing that my children, grandchildren, and even great-grandchildren may be impacted by my life. Q: Which character in Legacy of Mercy do you identify with the most and why? Lynn: I would have to say I identify the most with Geesje DeJonge. For one thing, she is about the same age as I am, and has lived long enough to be able to look back through the years and analyze them. She is in a position to see all of the ways and times when God carried her through—something we usually only see in hindsight, not when we’re going through the difficulties. I’m at the same stage in my life, and I can see God’s faithfulness to me in spite of the many times I questioned His wisdom. Q: When you sit down to write a story, do you know how it is going to end? Describe your writing process. How do you stay disciplined and not get distracted? Lynn: I never know how a story will end when I start writing. I rarely even know what comes next when I’m writing a chapter! I begin with the historical setting, and as I’m doing my research, my characters usually begin to take shape in my mind. I flesh them out by developing resumes for them so that they become real people in my mind, with backgrounds and personalities. Then I figure out where to begin the novel and simply make up the plot as I go along. If I’m surprised then the reader will be surprised. Q: Did anything surprise you about the Legacy of Mercy story? Thank you, Lynn Austin for chatting with us today and sharing about your books as well as your writing process! I’d love to hear from you! Have you read Waves of Mercy? I have a special treat for you today! Author Jen Turano is visiting with us to share an excerpt and to chat about her book “Caught by Surprise”. Be sure to stick around until the end to enter the giveaway! Join me in giving a warm welcome to Jen Turano! It is great to have you visiting with us today, Jen! Let’s start with a few getting to know you questions and then chat about your latest book. Jen: My very favorite season is Fall – there’s just something about the crisp air, changing leaves, and, well, fall fashions. After being in shorts and t-shirts all summer, I love being able to layer clothes, bring out the super cute jeans, and don’t even get me started on sweaters – my favorite article of clothing – and then…boots. Ah, I do so love a great pair of boots! Jen: I’m a morning person. Love getting up around 5:00 – take a bit of a hike, then settle into my office. I can work late if I’m on deadline, but I’m normally beat after 7:00 p.m.
Jen: So this was the coolest thing ever. I was at an obscure record store last weekend – what did I find? An album from…wait for it…The Psychedelic Furs. I loved that band when I was in college. ‘Pretty in Pink’ – favorite song on the album. Al (husband person) thinks I’ve lost my mind, but really, it’s a great band. Q: Did the plotline or the characters come first? Jen: When I decide to write a new series, I always submit a proposal for all the books I’m intending to write in that series, complete with plotlines and character descriptions. With that said, I thought I knew the plotline of “Caught by Surprise” but, nope. It changed starting from Chapter One. The characters were pretty well set since this is the last book in the series. Jen: Miss Temperance Flowerdew completely changed from who I thought she was going to be as the series progressed. She had a mind of her own, and after trying to force her to be the character I’d wanted her to be, I finally just let her have her way in the end. Q: What was the latest you stayed up working on this story? Jen: 2:00 a.m. is the latest – but I only pull those late hours when Al is out of town. It’s amazing how much writing I get done when he’s not around. Jen: This will probably seem weird, but since it’s been so long since I’ve worked on this book, I can’t think of a single thing I might have taken out. Jen: I’m currently working on a new series “The American Heiresses.” “Flights of Fancy,” book one, will release January 2019, and I’ve just turned in the second book, currently untitled. It’ll release later in 2019. Then I’ll have a novella releasing in a new collection. It’s about the Harvey Girls. I still need to write that, which is what I’ll be doing next week. Trisha: Thank you, so very much for visiting with us today Jen! It has been fun getting to know you and the characters in this story better. Jen Turano is giving away 1 (one) print copy of her book “Caught by Surprise”. Review the policies here. Please note that due to shipping cost this print copy is only available to those in the continental USA. The giveaway will be open for one week. At the close of the giveaway period, the winner will be contacted via email and announced on this page. The winner will have 48 hours to respond to the email, before another winner will be chosen. I have a special treat for you today! Author Kelly Goshorn is visiting with us to share an excerpt and to chat about her book “A Love Restored”. Be sure to stick around until the end to enter the giveaway! Kelly Goshorn weaves her affinity for history and her passion for God into uplifting stories of love, faith, and family set in nineteenth-century America. Kelly earned a B.A. in Social Studies Education from Messiah College and a M.Ed. in History Education from The Pennsylvania State University. 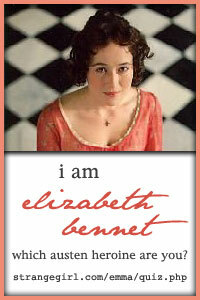 She is a member of American Christian Fiction Writers and Romance Writers of America. Kelly has been enjoying her own happily-ever-after with her husband and best friend, Mike, for 28 years. Together they have raised three children, four cats, two dogs, a turtle, a guinea pig, a gecko, and countless hamsters. Thankfully, not all at the same time. When she is not writing, Kelly enjoys spending time with her young adult children, scrapbooking with friends, board gaming with her husband, and spoiling her Welsh corgi, Levi. Welcome, Kelly! I’m so glad you could visit with us today and share about your new book! Hi Trisha, thank you for having me on Joy of Reading. I’ve really enjoyed getting to know you lately through all our mutual friends on Facebook and look forward to spending time with you and your readers today. Kelly: Definitely, fall. I love the cooler temperatures, the crisp air, harvest festivals, pumpkin flavored everything magically appears on grocery store shelves and let’s not forget those leaves. The Blue Ridge mountains are covered in a vast array or orange, yellow and red that never gets old. I’m always in awe of God’s artistry. Trisha: Fall is a lovely time of year. I grew up in the Blue Ridge mountains and the colors just can’t be beat! Kelly: I really enjoy the early morning. I get up around 4:45 or 5 am and the house is so quiet. I make a cup of Earl Grey tea and have some prayer time then start writing. Trisha: I enjoy mornings, but you have me beat by about an hour! Kelly: Great question—the books that made me fall in love with Christian historical romance were the Love Comes Softly series by Janette Oke (well just about anything she wrote) and Redeeming Love by Francine Rivers. I also loved all of DeAnne Gist’s books. Trisha: Those are some wonderful author’s, I’ve enjoyed their books also! Kelly: Cory Asbury (Reckless Love), Toby Mac (I Just Need You), Mandisa (Unfinished), Matthew West (Mended), Jordan Feliz (Witness) and Elevation Worship (Come to the Altar ). Trisha: I’ve not yet listened to Cory Asbury’s music. I’ll have to go listen to a sample on iTunes! Kelly: Since A Love Restored is based on my real-life romance with my husband, Mike, the plotline definitely came first. Trisha: I do enjoy stories based on real-life experiences! Kelly: Tough question but I think I’d have to say Ruth Ann’s brother-in-law, Joseph Palmer. Although I always envisioned him as tender, kind and protective, I was surprised when his back story emerged and placed him in the mentor role, persuading Ruth Ann to trust again. Kelly: While writing ALR I worked nights at Target and often returned home after midnight. I’d be wide awake and sometimes write or edit until 2 or 3 am. That’s funny because I’ve completely become an early morning person now and am usually in bed by 9:30. Kelly: Considering the second draft was 116,000 words, lots of things didn’t make it into the final copy? LOL! I had several chapters where Ben & Ruth Ann traveled to Pennsylvania to meet his family. There were several comical scenes where she learns to gather eggs and milk a cow. Kelly: I do not currently have anything under contract, so I do not know how long it will be until I have another story published but I am currently working on a series set in Civil War Virginia. Surrendered Hearts examines what happens when God calls us to surrender those things we hold most dear. Characters are called to sacrifice their dreams and ambitions, their pride, and ultimately their hearts as God recklessly pursues each of them. Hearts and wills are challenged, and lives transformed as characters experience restoration with one another and with God. Trisha: Thank you, Kelly, for visiting today! It was great getting to know you and your story a little better! I’ll be sure to watch for your next book! Kelly Goshorn is giving away 1 (one) print copy of her book “A Love Restored”. Review the policies here. Please note that due to shipping cost this print copy is only available to those in the continental USA. The giveaway will be open for one week. At the close of the giveaway period, the winner will be contacted via email and announced on this page. What is the last book you read that kept you on the edge of your seat? For me, the answer is The Reckoning at Gossamer Pond. I am super excited to have author Jaime Jo Wright visiting with us today and chatting about her latest book The Reckoning at Gossamer Pond. Pull up a chair, a drink and settle in for a fun interview! Be sure to stick around till the end, as you won’t want to miss the giveaway! Professional coffee drinker & ECPA/Publisher’s Weekly best-selling author, Jaime Jo Wright resides in the hills of Wisconsin writing spirited turn-of-the-century romance stained with suspense. Coffee fuels her snarky personality. She lives in Neverland with her Cap’n Hook who stole her heart and will not give it back, their little fairy TinkerBell, and a very mischievous Peter Pan. The foursome embark on scores of adventure that only make her fall more wildly in love with romance and intrigue. Jaime lives in dreamland, exists in reality, and invites you to join her adventures at: jaimejowright.com! For those of you who haven’t yet had the pleasure of reading this engaging story be sure to check out my review (click here)! Welcome Jaime! I’m super excited to have you visiting with us today! Let’s get started with a few fun questions and then chat about the book. Jaime: I love Autumn! Everything about it. The cold, the dewy leaves, the crisp air, sweaters, fluffy blankets, coffee, oh man … now I’m getting excited all over again! Trisha: Autumn is a wonderful season. I especially love all the beautiful colors! Trisha: I totally understand! It is nice when you can just relax and not have to worry about children for a moment. Jaime: Oh I love this question!!! I’m a huge fan of Tracie Peterson’s “Heir of Montana” series. Both because I love Montana, but I also fell in love with the stories. So good!! Trisha: That is a great series! I’ve enjoyed many of Tracie Peterson’s books! Jaime: Hmmmm…a lot of Rend Collective, Ed Sheeran, and We Are Messengers. Trisha: Sounds like a nice selection! Jaime: Usually the characters. Sometimes a plot concept will come first. In my current work-in-progress it was definitely the characters. Trisha: Yes, Jacobus took me by surprise also! Jaime: On this one? LOL Don’t judge. I think it was 9:30 pm. LOLOL I can’t sacrifice for anything. I’m miserable without at least 8-9 hours due to my health, so if I don’t get that then writing becomes virtually impossible. Trisha: Getting enough sleep sure makes the next day better! I try to go to bed before 11 p.m., but I’m not always successful. Jaime: Oddly? Everything made it in. I mean, sentences here and there, but there were no deleted scenes in this novel. I’m still sort of shocked by that. That’s rare. Jaime: “The Curse of Misty Wayfair” is due out in January 2019! I’m super excited about it. It was probably one of my favorites to write but also the most difficult. It delves into some areas that are personally sensitive to me and so it was an emotional write too. Trisha: Thank you, Jaime for taking time out of your busy schedule to visit with us today! It is always a pleasure to chat with you! Don’t miss out on any of Jaime Jo Wright’s books! Jaime Jo Wright is giving away 1 (one) copy of her book “The Reckoning at Gossamer Pond”. Winner may choose one print copy or one e-copy. Please review the policies here. Please note that due to shipping cost this print copy is only available to those in the continental USA. The giveaway will be open for one week. At the close of the giveaway period the winner will be contacted via email and announced on this page. We have a special treat today! Author Tara Johnson has stopped by to chat with us about her new book Engraved on the Heart. I absolutely loved reading this story! There is such depth of feeling in this story, that I’m sure you will love it too! You’ll want to make sure you get a copy of this book to enjoy for yourself! CLICK HERE for my review. Join me in giving a warm welcome to Tara Johnson! Tara: Autumn. I love the cooler weather, the brilliant colors of the trees, the excitement of the approaching holidays, the loamy scent in the air, pumpkins, hay rides, hot cocoa…it’s an exquisite time of year in my home state of Arkansas. Trisha: Autumn is beautiful, for all the reasons you listed above. Where I live we have lots of grape vineyards, and you can smell the grapes! It’s delicious! Tara: Waking up early and reading my Bible on the front porch while the rest of the house is asleep. It’s blessedly quiet and a beautiful way to start the day. Trisha: That sounds like the perfect start to a day! Tara: I grew up reading anything by Lori Wick. The Hawk and the Jewel, Pretense, Sophie’s Heart and Wings of the Morning were my favorite. I also loved Lori Copeland’s Brides of the West series and Francine Rivers Mark of the Lion series. Trisha: Did you take a peek at my bookshelf?! We could be reading twins! Those are some of my favorites also! Tara: I have the most strange, eclectic collection of music ever. Being a music major will do that to you. Ha! Scrolling through my playlist looks like this: Matt Maher’s “Lord, I Need You”, Ed Sheeran, Beethoven’s 5th Symphony, David Garrett, the soundtrack from Wicked, Carrie Underwood, Queen and Bethel Music. I love it all. Trisha: That sounds like a wonderful collection to music!! I too have a wide collection that I listen to. Tara: For me, it always begins with the characters. Once I know the characters’ fears, childhood memories, passions and goals, the plot falls into place. The reason people are so taken with story in any form, whether it’s a novel, movie, story song, or anything else, is because we’re rooting for the character. What would Star Wars be without Luke Skywalker, or The Wizard of Oz without Dorothy, or Gone with the Wind without Scarlett O’Hara? Trisha: I agree! Characters always take center stage for me. Tara: Micah. I’ll try not to reveal anything here for those who haven’t yet read the story, but Micah’s secret took me by surprise. I was typing along and out it came. The creative process is fascinating that way. Trisha: Yes, me too! I didn’t see that coming! Tara: Probably midnight at the latest. I’m typically an early bird and do my best work in the morning and early afternoon. Most nights I’m asleep by 10:30 or 11:00. Trisha: Sounds like me! I can push myself to stay up until midnight, but more often than not I’m in bed by 11:00 if not before. Tara: I originally wrote a scene that reunited Hiriam with his long-lost daughter. Again, I don’t want to spoil anything but while chatting with my editor, we decided the ending would be more poignant if we left it out. Tough decision! Trisha: Hmmm…. that does sound interesting. I have to admit, I like the ending that you settled with. Tara: My second novel Where Dandelions Bloom will release in the summer of 2019, and I’m hard at work on story number three, tentatively titled A Song for Cadence, set to release in the summer of 2020. Trisha: I just know they will both be fantastic! I am eager to read more of your wonderful stories! Thank you so very much for taking time to visit with us today and share about your wonderful stories! Tara Johnson is giving away 1 (one) copy of her book “Engraved on the Heart”. Winner may choose one print copy or one e-copy. Please review the policies here. Please note that due to shipping cost this print copy is only available to those in the continental USA. The giveaway will be open for one week. At the close of the giveaway period the winner will be contacted via email and announced on this page. Friends, I am super excited to have Karen Witemeyer visiting with us today! I have been reading her books since 2011 when her very first book “A Taylor-Made Bride” hit the shelves. I’ve not missed one of her stories, I’ve gobbled them all up like a hungry book dragon. Today, you get a front row seat to our conversation about Karen’s news book More Than Meets the Eye! Grab yourself a drink, a cozy chair and don’t forget to enter the giveaway before you go. Welcome, Karen! I’m thrilled to have you visiting with us today and chatting about your latest book release. Let’s get started with a few fun questions and then chat about the book. Karen: Spring – I love seeing new life emerge. Wildflowers (especially Texas bluebonnets), budding trees, grass changing from brown to green, baby animals coming into the world – it’s a season of hope. Trisha: Yes! Spring is my absolute favorite season as well! Karen: The evening. Work is done for the day, dinner dishes are finished, relaxation can begin. Usually this entails sitting in my chair next to my hubby and watching a TV show or two. I usually cross-stitch while he plays on the computer. However, now that it’s summer and the kids don’t have homework to rush off to complete, one or two evenings a week we play board games. Love having the whole family together for a little fun-spirited competition. Trisha: Evenings are the ideal time to relax and unwind from a busy day. Karen: Christy by Catherine Marshall is my favorite of all time. I also really enjoyed Redeeming Love by Francine Rivers. Trisha: Oh, yes! Two wonderful selections! Karen: My favorite genres include 80’s love songs, oldies, Christian, and Big Band. So names you might see would include Celtic Woman, Josh Groban, Lauren Daigle, Toby Mac, and Bing Crosby. How’s that for variety? Trisha: I love the variety! Karen: In More Than Meets the Eye, I would say that the characters came first. Years ago, I read a book by Julie Garwood called For the Roses where a group of street-toughened New York City urchins find a baby girl that someone had tried to dispose of and they decide to take her in and make a new life for themselves out west. This idea of family bonds being formed through shared hardship really spoke to my heart and came back to me as inspiration when I was brainstorming a new idea for a series. I wanted to bring together a group of orphans and have them create a family for themselves. Then came the idea of the orphan trains, but I needed my orphans not to be chosen by families so I had to give them reasons to be discarded and overlooked. Zach, the oldest, became a loner with a huge chip on his shoulder. Seth came into play as a sickly kid with weak lungs and a poor constitution. But how would I make the cheerful, tenderhearted heroine I envisioned for this story undesirable to adoptive families? That’s when I hit on the idea of heterochromia – or two different colored eyes, something people would see as unnatural and cause their superstitious minds to leap to unsavory conclusions. Once I had these characters in mind, the plot began to grow. Karen: Well, I don’t want to tell too much, because I want this character to take readers by surprise too, but I will say that I had no idea this little fellow was going to show up until one of my secondary characters spoke him into existence near the end of Chapter 22. I usually keep a tight rein on my story as I write, so when something surprises me, it’s a rare treat and a keen reminder that, ultimately, I’m not the one in control. Karen: I don’t write at night. That’s my down time. My brain pretty much turns to mush around 8:00 pm and is only good for watching television and handling the occasion family board game. I’m best in the morning or early afternoon. Which means I write a lot over the weekends. Karen: I don’t write multiple drafts. I write one, very slow, very careful draft so there’s not much chopping that goes on in my manuscripts. (I know. I’m strange.) I have had a time or two when my editor comes back and says a particular scene isn’t working, leaving me to cut or completely rework a section, but that doesn’t happen too often. I have two such scenes posted in the Bonus Material on my website. One is a deleted epilogue cut from my debut novel, A Tailor-Made Bride. The other is a scene removed from A Worthy Pursuit. You can find those here. I didn’t have any large cuts with More Than Meets the Eye. Thank goodness. Those are hard on a writer’s heart. Karen: I have two upcoming projects. The first is a fun Christmas anthology where I got to team up with authors like Kristi Ann Hunter, Sarah Loudin Thomas, and Becky Wade. The concept is a family heirloom that is handed down from mother to daughter across the generations – an heirloom that brings true love to its owner, often when least expected. This was my first stand-alone novella, and I had so much fun writing it. In fact, my Facebook group, The Posse, helped me plot the story and brought in a four-legged critter that ended up playing a key matchmaking role in the story. The Christmas Heirloom releases on October 2. The second project is a sequel to More Than Meets the Eye. Older brother Zach Hamilton meets his match in an independent baker who ignores his death grip on bachelorhood and bargains him into a marriage of convenience. Secrets with the power to destroy their happiness loom and a vengeful villain with the power to destroy their lives sabotage them at every turn. The working title is More Than Words Can Say, and it is slated for release next June. Trisha: Thank you, for visiting. It has been a pleasure to chat with you! Friends, Karen is generously giving away an autographed print copy of More Than Meets the Eye. Read below for the details! Karen is giving away 1 (one) autographed print copy of “More Than Meets the Eye”. Please note: Due to shipping cost this giveaway is only open to those with U.S mailing addresses. Please review the policies here. The giveaway will be open for one week. At the close of the giveaway period the winner will be contacted via email and announced on this page. Greetings reader friends! I’m super excited to have Rachel Fordham visiting with us today! I’m thrilled to be able to introduce you to Rachel. Over the past few months, we’ve chatted several times. Rachel has a big heart for children, and families and she has a exceptional talent for weaving together words into a beautiful story that dances across your imagination and pulls you in. Rachel Fordham has long been fascinated by all things historical or in the words of her children “old stuff”. Often the historical trivia she discovers is woven into her children’s bedtime tales. Despite her love for good stories she didn’t attempt writing a novel until her husband challenged her to do so (and now she’s so glad he did). Since that time she’s often been found typing or researching while her youngest child naps or frantically writing plot twists while she waits in the school pick-up line. In addition to her passion for storytelling she enjoys reading, being outdoors and seeing new places. Rachel lives with her husband and children on an island in Washington state. BONUS: Rachel is offering a FREE ebook; visit her webpage for more details! For those who haven’t yet heard of Rachel’s book, The Hope of Azure Springs, let’s take a look at what this story is about. Rachel: Neither. I am about as boring as they come. I prefer water and I don’t even like it too cold. I want to be able to take a huge drink and not burn or freeze my throat. Rachel: I’m currently trying to break my sugar addiction but with little success. I LOVE all treats. My favorite is anything homemade. Maybe because I like baking. I love the smells and the process. I love baking with my kids. A really well-made chocolate chip cookies are a favorite (hmmm…I might actually like the dough better). Rachel: In the past, I would have said Jerusalem or Italy. Some exotic destination. The older I’ve gotten my dreams have changed a little. I’d love to go live somewhere else long enough to really know the people and help out if I could. We do have a family goal to see all fifty states and are getting pretty close. Q: If they were to make a movie of The Hope of Azure Springs, who would you choose to play the hero & heroine? Rachel: That is so hard. I doubt anyone would fit with the characters I’ve created in my head. Maybe readers of this post can help. Em is often described as plain (some townspeople call her much worse). She has stringy yellow hair. She is thin and freckled with a scar up one of her arms. That’s her physical description but we’d need to find an actor that when we first see her we don’t think much of her but then as we get to know her we realize that they are possessing true beauty. The kind that is often overlooked initially but that is pure and shines past any outer shell. Caleb is the type of man you’d stop and stare at. He’s a sheriff and rugged with dark hair and usually a little scruff on his face. Pretty much he’s your classic heart-throb with a bit of country flair. His personality though is a man that comes across as all seriousness but underneath is a man with feelings and worries of his own. Q: Where did your inspiration for The Hope of Azure Springs come from? Rachel: I have always had a soft spot in my heart for orphans and foster children. When I heard about the orphan trains I wanted to build a story around that. It grew from there! Q: Did you have a favorite character while writing The Hope of Azure Springs? Rachel: Margaret is a character that started out just being a plot device and ended up being a woman I’d love to live next door to and pick her brain for wisdom and laugh with. I adored her! Q: Did anything surprise you during your research for The Hope of Azure Springs? Rachel: When researching orphan trains I realized there were a lot of experiences. Some were beautiful stories of lost children finding homes and families. Others found homes where there was no comfort. They were neglected and abused. I tried to write a book that showed both sides of this piece of history. More than anything I realized these train riders were real people and I wanted to tell that story. Q: What book are you currently working on and how long till we can read more?! Rachel: My next book with Revell is due out in 2019. It’s not a sequel but does pass through Azure Springs so we get to revisit some of the same people (yay!). It begins at the Dead Letter Office in Washington DC. I have always loved letters and so this was not only fun to research but fun to write. What would you do with a letter that comes into your hands, speaks to your soul but isn’t meant for you? Welcome, reader friends! I’m thrilled to have Meghan M. Gorecki joining us today to talk about her debut book Amongst The Roses. Welcome, Meghan! I’m so happy you could join us today to chat about your new book! Let’s start out with a few fun getting to know you questions, and then talk about the book. Meghan: Autumn. It’s such a sigh of relief after a sweltering summer. Everything is more gold and bright and crisp. I just love it. Meghan: Anything by Lynn Austin—the Refiner’s Fire trilogy was incredible and I read it through multiple times. SO rich in historical detail and with powerful spiritual themes through out. Meghan: Oh the plot for sure. I let the history dictate it. And despite how long the characters had been in my head (since grade school!) they took their good old sweet time revealing themselves to me as I tried to write. Meghan: Adam. He really developed into a solid, interesting character that I was happy with how he turned out even though he didn’t turn out as I’d expected in a lot of ways. Meghan: Only once or twice—one in the morning. I probably ended up deleting what I’d attempted writing. LOL I write well early in the morning. Not late at night. Meghan: Most of the first third of the original draft LOL. I couldn’t remove a whole lot because of the history I wanted to ensure stayed in the book—but you can bet during the last two rounds of edits I cut and combined scenes a lot. It needed it, LOL. Meghan: Right now my only writing goal is to finish A Rose Long Awaited and release it in the fall, hopefully. Then, only God knows. The life season I’m in now still has room for writing—but there’s also a lot more tugging at my heart and my time, so I’m just along for wherever God takes me. Thank you, Meghan for visiting with us today and letting us take a glimpse into your life and this delightful book Amongst the Roses. Meghan Gorecki is giving away 1 (one) digital copy of her book “Amongst the Roses”. Please review the policies here. The giveaway will be open for one week. At the close of the giveaway period the winner will be contacted via email and announced on this page.